Designed specifically to untangle the toughest knots and deep condition manes and tails, this pleasantly scented formula provides a high-gloss, silky-soft finish that lasts for days. Our horse detangler gel also features Argan Oil of Morocco, a key ingredient in many high-end human hair care products. Now we’ve added its conditioning power to a detangler specifically formulated for horses—all leading to our Detangler Gel being rated significantly higher than a leading competitor by an independent consumer panel. 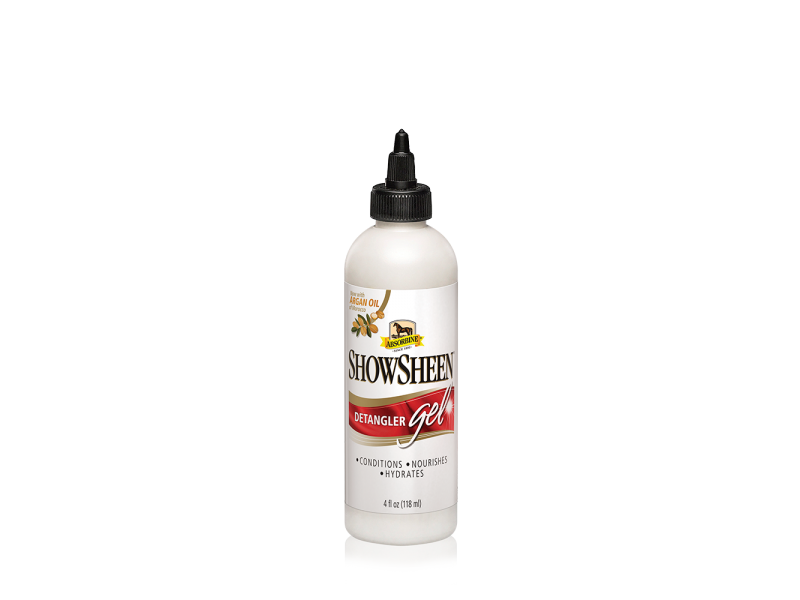 There are currently no questions for Absorbine ShowSheen Moisturising Detangler Gel - be the first to ask one!